Here's a fun language web toy to while away your afternoon. 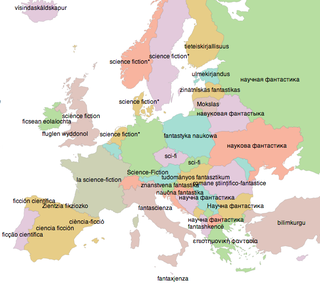 Type in an English word, and you'll see a map of how that word translates in different parts of Europe. James Trimble created the European Word Translator, which uses Google Translate to source its translated words. He notes that the system isn't perfect; some of the words may be incorrect, and sometimes it may pull words that are used in non-European dialects of the language. (For example, it may pull a word that is used in Brazilian Portuguese but is not used in Portugal.) Plus, it only provides one translation per language per word—so watch those words that have more than one meaning in English. Still, it's a fun way to track similarities and differences across languages—and to find lots of quick translations for juvenile words. Below are a few examples. If you see a word in English followed by an asterisk, that means that the system was unable to find a translation in the relevant language.